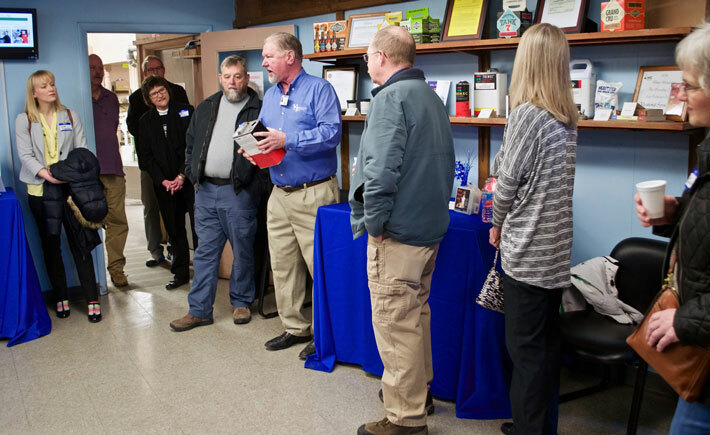 VSI’s North Kansas City workshop recently hosted the NKC Business Council's First Friday. Held March 1, the networking event drew representatives from North Kansas City businesses, along with city officials and business council members. VSI's North Kansas City location for the March 1 event. Representatives from area businesses and organizations joined VSI staff for networking and a presentation by Executive Director Randy Hylton. The event held added significance as VSI was founded in North Kansas City in 1966, becoming only the ninth workshop in Missouri when it opened in a former North Kansas City hair salon.